This year Samsung has released two of their premium high end smartphones, i.e. Galaxy S7 and Galaxy S7 Edge. Both the smartphones are flagship devices of this year from Samsung, where both the device share almost similar hardware specifications with some edge in Galaxy S7 Edge in terms of display and battery. 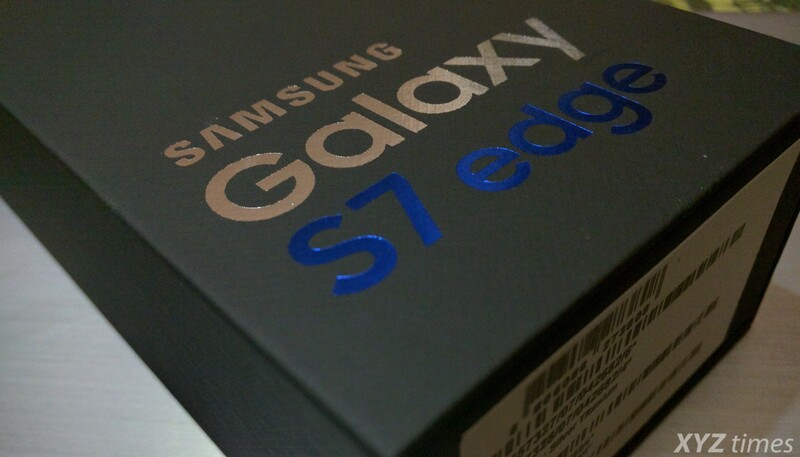 In short, S7 Edge is the best Samsung smartphone that you can buy at the moment. Therefore we decided to review Samsung Galaxy S7 Edge in detail, so that you can determine whether it is made for you or not. So let’s begin with our review. Before starting with our detailed review, let us have a quick glance in the key specifications of Galaxy S7 and Galaxy S7 Edge. The box is very compact and minimal with a clean “Samsung Galaxy S7 Edge” label at the front with the memory size (32GB in our case) at the top right. The box is matte black in color and has key specifications listed at the back. Samsung is using this approach in all the latest smartphones from last few months, and it looks good. 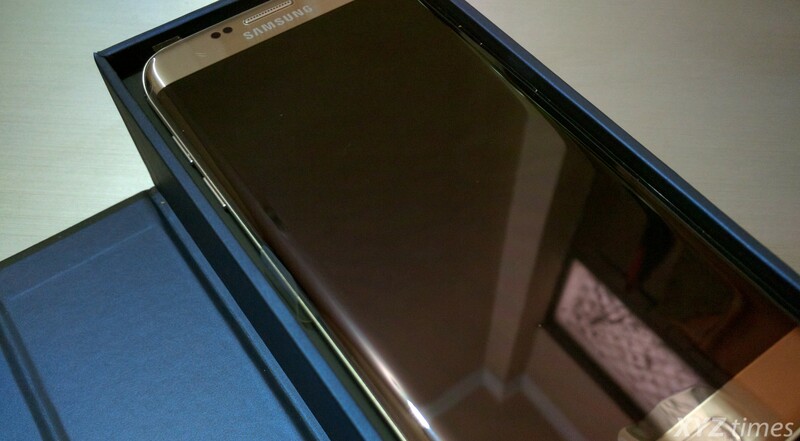 As soon as the box is opened, the almighty Galaxy S7 Edge appeared with its glassy silver titanium look. No wonder that you might fall in love with this colour. At first, the phone seems to be very similar to Galaxy S6 Edge plus, but the differences become more visible after we take out the device. Galaxy S7 Edge has curves on both sides, front as well as back, which make the device more gorgeous and at the same time, handier. Galaxy S7 Edge can be titled as the best-looking smartphone of this century. We have got the Silver Titanium colour, which gives the feel of real metal all around, though the phone has a Corning Gorilla Glass 4 at the back. This phone is a real beauty and no doubt that you will like to have this phone for years. Its curved display makes it stand out from other high-end smartphones. Also, it provides some extra features. One of my favourites is the glow effect (Edge Lighting) on the edge display whenever we receive a call while the device is turned over. This feature is worth having the Edge display in a phone, though it can still be optimised in near future, by setting up different colour lights for different callers, and so on. At the top, it has a 5MP selfie camera, an earpiece and two sensors. Below this, there is a beautiful 5.5-inch curved edge display. 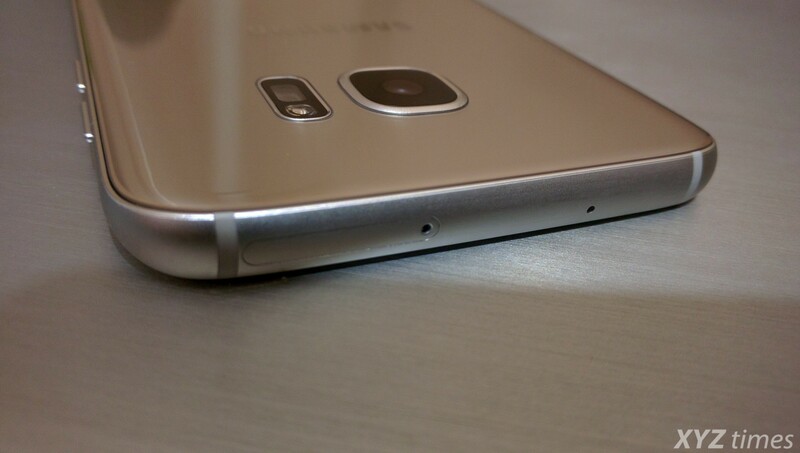 At the bottom, there resides the standard Samsung home button with fingerprint sensor feature on it. The power button is placed on the right side while the volume buttons can be found on the left side. The speakers, 3.5mm audio jack, micro USB port and a microphone is placed at the bottom, while another microphone is placed at the top with a SIM + Micro SD card slot. At the back, you will find an all new 12MP primary camera with LED flash and heart rate sensors on its right. 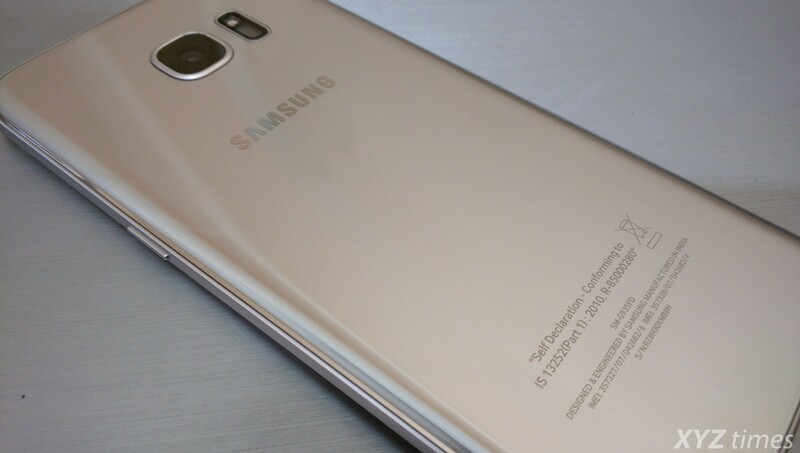 Below the camera, you will find “Samsung” branding with some self-declaration notice at the bottom. 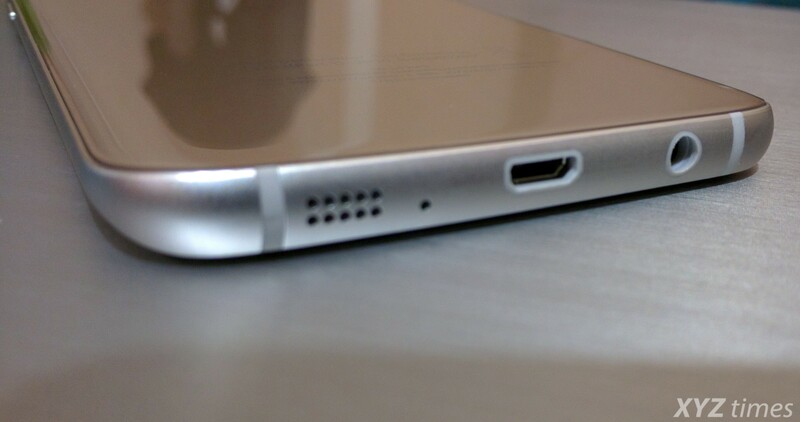 The edges from the back are slightly curved; that make the device more handy and stylish. The side rim of the phone is made from high-quality metal that matches the colour of the phone. Though S7 Edge has a 5.5-inch screen, it still feels very comfortable in hands due to its design, especially the curves on both the sides. Overall, Galaxy S7 Edge has excellent build quality and no doubt that we can rate it 9 out 10 in build and design section. Did I forget to mention that S7 Edge is IP68 certified, which means that the phone is dust and water proof? The phone can easily survive for 30 minutes under 1-meter water. Samsung is always known for its displays; it’s been ages that Samsung provide the best displays in their flagship devices as compared to other flagship devices in the same year. Year 2016 is no exception, S7 Edge features the best display that is available on the market right now. It has 5.5 inch Super AMOLED display with a Quad HD resolution of 1440 x 2560 pixels. The colors just pop out from the screen and you will love watching the screen for hours without any reason, just because it is that good. It has the pixel density of 534, which is less than Galaxy S7, but still it is 1:1 in its comparison. 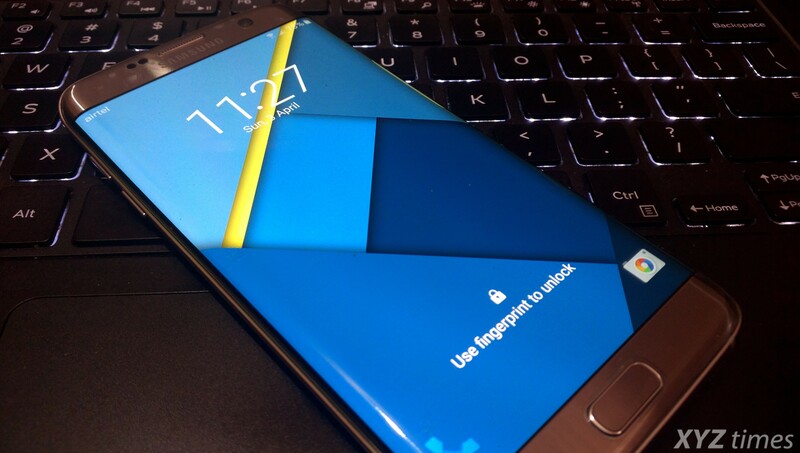 The screen is slightly curved on both the sides and this curved display is known as Edge display, which is the key feature of Galaxy S7 Edge. We can customize the usage of this Edge display and that is provided under settings. There are still many opportunities on how to make more use of this Edge display, therefore there is a lot to come in near future. This beautiful 5.5 inch display is protected by Corning Gorilla Glass 4 which makes it scratch proof. This year Samsung has provided a new feature called “Always on display” which is very similar to “Moto Display” but is not as efficient as it should be. Currently it is capable of showing only Samsung stock application notification in the Display, which means that if you get a WhatsApp message, you won’t get it shown in “Always on Display” screen. We can keep this feature in the beta stage as of now, till it get universal compatibility and more enhancements. Not to mention that this function also takes around 10-20% of your overall battery, though you can disable this option under Settings > Display. You can also change the screen mode according to your taste. There are a variety of screen modes that are available under Display setting, i.e. Adaptive display, AMOLED Cinema, AMOLED photo and Basic. Overall Samsung Galaxy S7 Edge holds the best and most stylish display at this moment. This year Samsung has decided to drop few megapixels from the camera, this does not mean that they have lost the camera quality. Moreover, they have enhanced the camera experience to a new a level by introducing a 12MP primary camera with f/1.7 aperture accompanied with optical image stabilisation that has resulted in the best mobile camera till date. The camera is very fast while focusing and capturing images. Samsung also provide many preset modes that are very handy while taking pictures at various scenario. This 12MP camera is also capable of capturing videos in 4K resolution. When it comes to front camera, it sports a 5MP camera with f/1.7 aperture accompanied with few modes that helps to take better selfies. You can find a wide variety of modes after opening the camera application. If you are not satisfied with the pre-set modes then you always has an option to switch to Pro mode that allows you to changes the values manually. Another small but handy feature while taking selfies is that, you just have to place your finger on the heart rate sensor and removing your finger will automatically capture a selfie. This is certainly a cool feature as it might become cumbersome while taking selfies in a go. In nutshell, Samsung has approached a new policy where quality is more important than quantity and this has resulted in best mobile camera in the market till now. Galaxy S7 Edge is packed with the latest hardware that are available in the market. It comes in two variants, one comes with Snapdragon 820 SoC while other with Exynos 8890. In spite of being different chipset, both the options are equally powerful and capable of doing any task. In our review we have got the Exynos 8890 variant which has octa core processor accompanied with Mali-T880 MP12 GPU. It runs on 4GB of RAM and has 32 internal storage. This time Samsung has reintroduced the memory expansion feature via micro SD card. 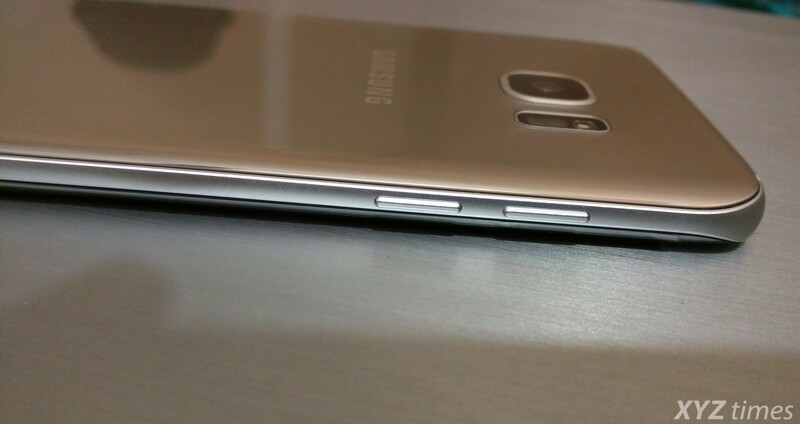 This slot can also be used as a SIM slot, which can make S7 Edge a dual SIM smartphone. Other features include Wi-Fi, Bluetooth v4.2, GPS, NFC, Fingerprint sensor, compass, barometer, heart rate sensor, SpO2, fast charging, Wi-Fi Direct, Wireless charging and much more. Overall S7 Edge is a feature rich, powerful phone. 3600 mAh non-removable battery backs it. 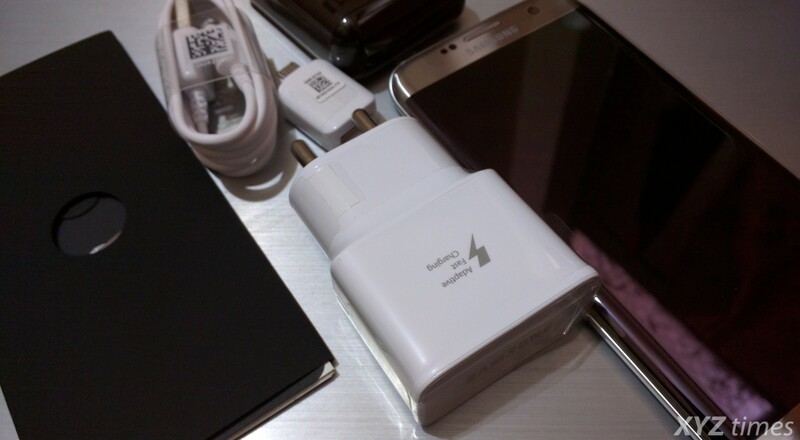 The phone get fully charged from 1% to 100% in just 90 minutes. The battery backup is also great; the phone can stay alive even after a day under great usage with over 15% battery left. The battery drainage is mere 2%-3% overnight (8 hours) when the phone goes into sleep mode. Samsung Galaxy S7 Edge comes with Android 6.0.1 Marshmallow with TouchWiz UI over the top. 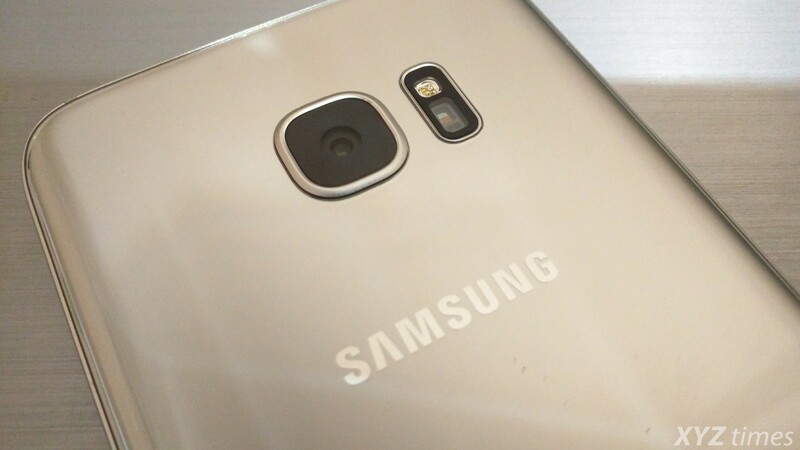 Samsung has improved a lot in their software counterpart and now we can feel the difference. The UI experience is very smooth without any lag anywhere. The new features like Game Launcher is a great addition. In short, Samsung has spent a lot in their Software development department and the results are getting better and better. But there are still many possibilities in terms of software that we can see in near future. After using the phone for a week, I must say that Samsung has provided their best and the phone is a masterpiece in every aspect. The 32GB variant of Galaxy S7 Edge is priced at Rs. 56,900 in India which is the only downside of this phone, but Samsung has always overpriced their smartphones, especially in India. But if we keep the price factor aside, then S7 Edge certainly deserve 9.5 points out of 10 in our review. Samsung Galaxy S7 Edge is the best smartphone that you can buy at the moment. It has got the perfection in every aspect, whether it is design or display or camera, just name it and you will get the best in S7 Edge.